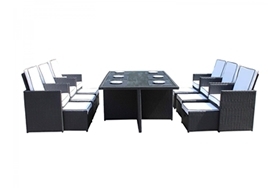 Dimensions (cms): Table W140 D90 H72, Reclining Chair W62 D62 H83. 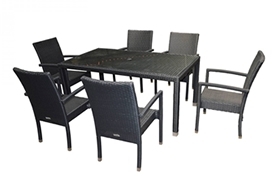 Chair W58 D56 H81. 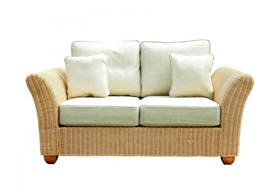 Seat Width 43. 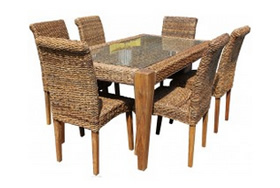 Wherever you are eating, this deluxe rattan dining set is the perfect solution for seating the whole family. 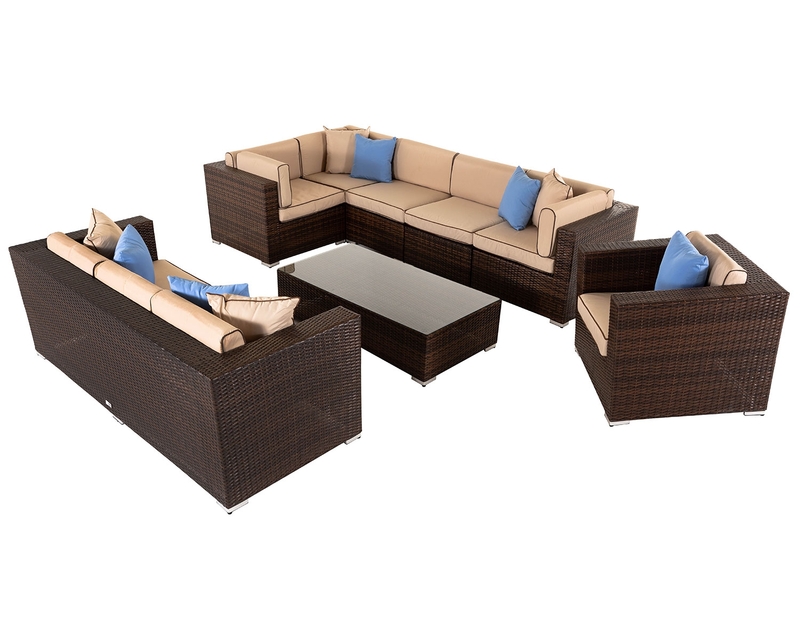 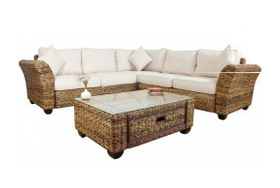 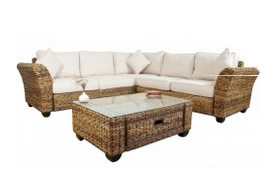 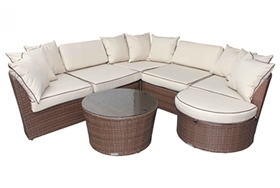 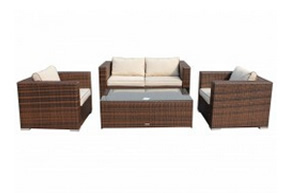 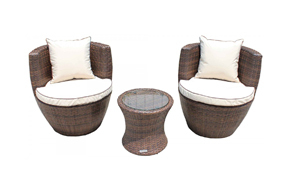 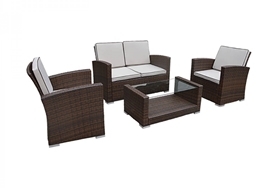 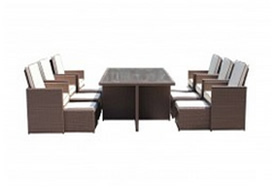 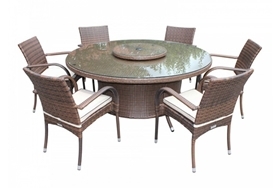 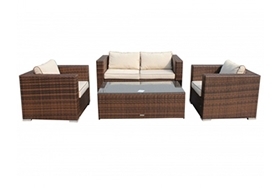 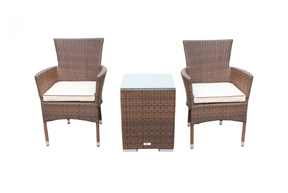 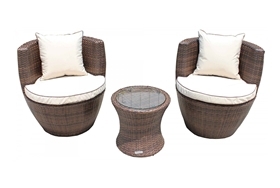 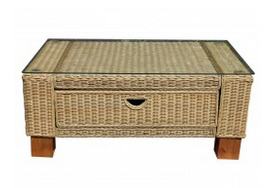 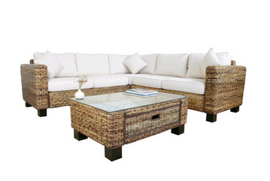 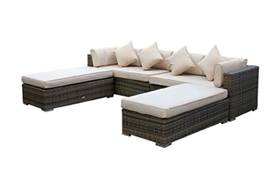 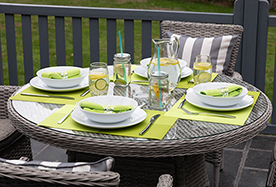 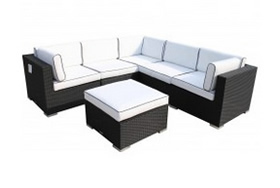 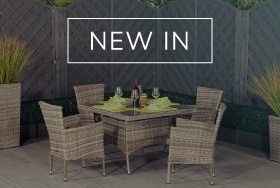 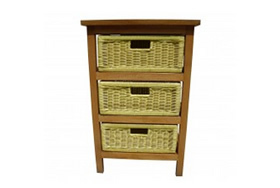 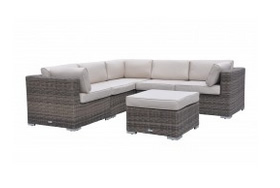 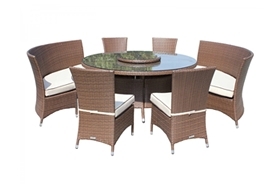 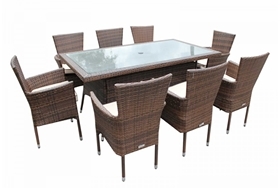 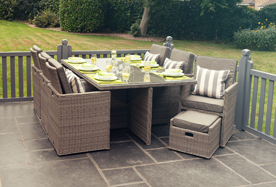 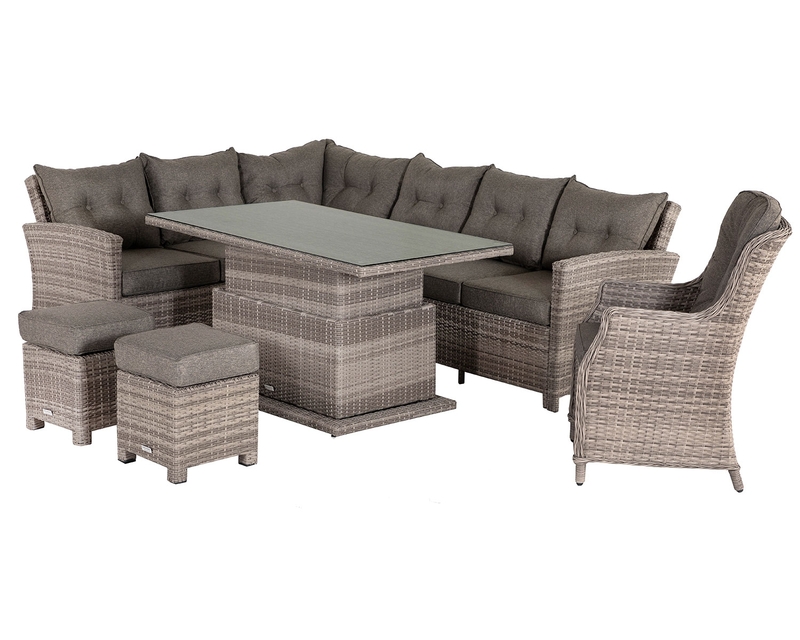 Including 6 chairs and a matching table made from a high-quality resin weave rattan for extra durability, this stylish set will perfectly complement your home or garden. 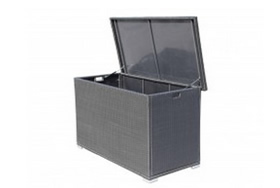 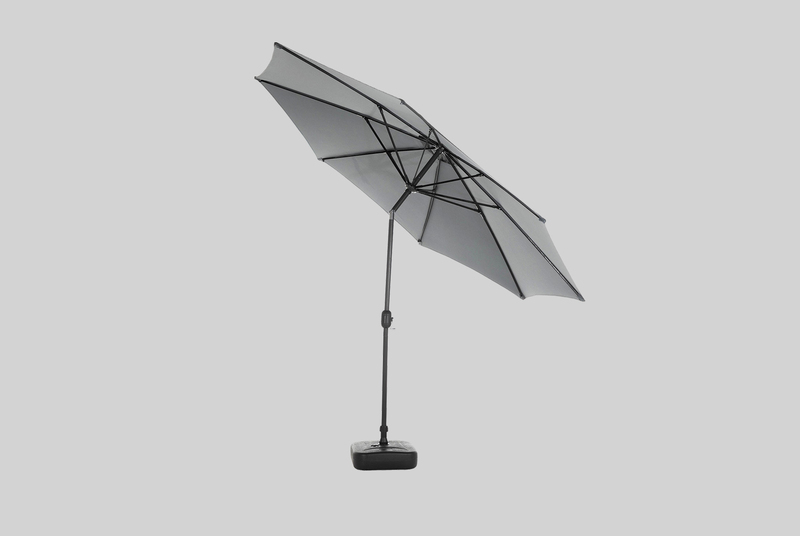 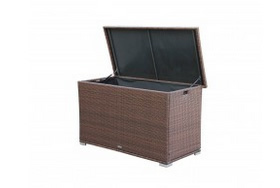 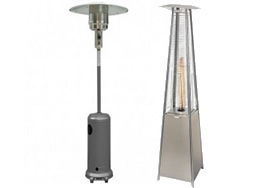 It is suitable to keep outdoors all year round, and even comes complete with free furniture covers to protect against the harshest weather conditions. 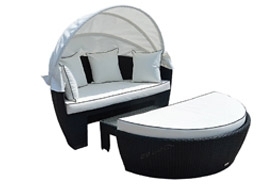 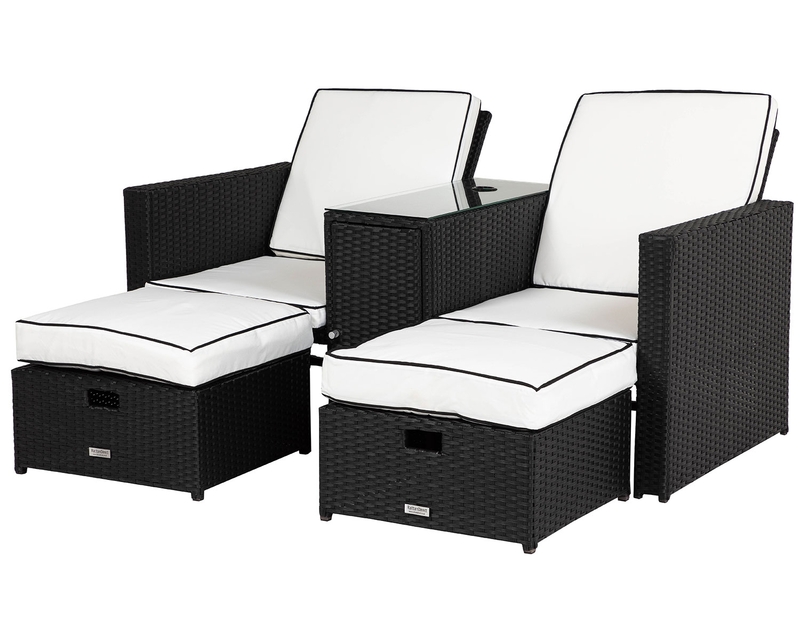 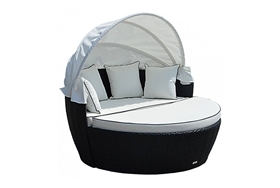 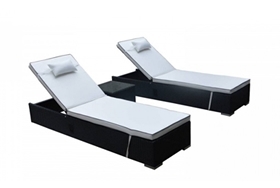 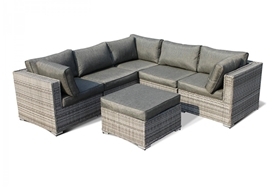 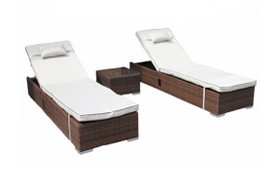 If you prefer to relax outdoors in the sun, the two reclining chairs which are supplied with this set are the perfect solution for simply lying back and soaking in the rays. 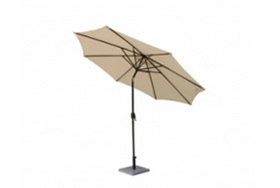 There is even a parasol hole in the table, so finding shade during the hot weather is a breeze! 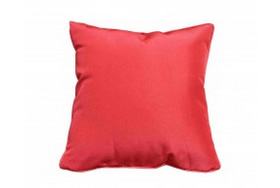 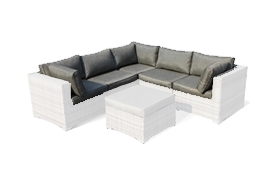 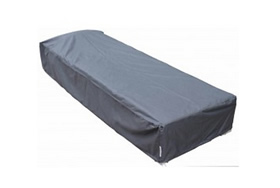 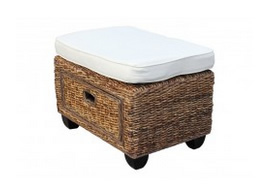 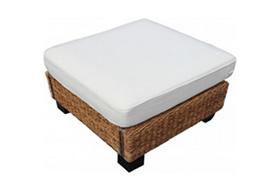 The cushions are comfortably padded and are covered with showerproof covers that are fully removable and machine washable for even easier maintenance. 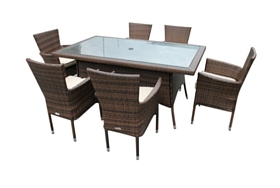 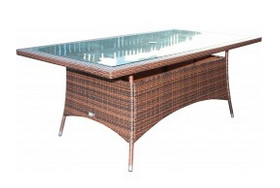 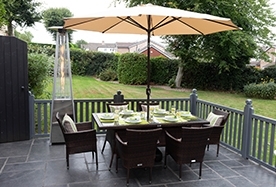 Requiring only light assembly, this durable and attractive set will look wonderful on your patio or in your conservatory. .
For diners' safety, the matching in-house designed table boasts a top which is made from tempered safety glass, and the resin weave chairs and table base are resistant to UV light and will not fade, even in strong sunlight, ensuring that this dining set will continue to look fantastic for many more years to come. 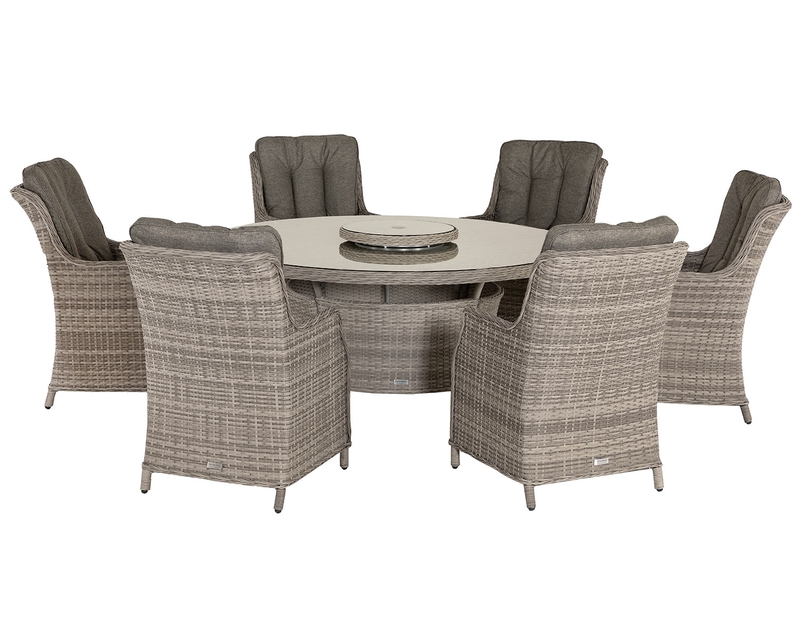 Flexible, convenient, stylish and practical, this dining table and chairs represents amazing value for money.